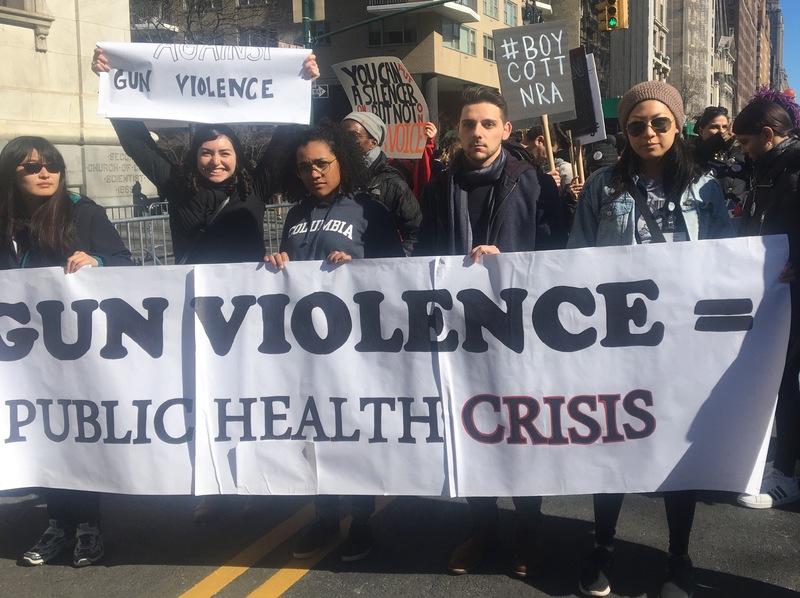 Students from across the Columbia University Irving Medical Center come together to show that gun violence is a public health crisis. The overhead blared, “Incoming Level 1 trauma patient. Arrival in 15 minutes.” My heart raced as I felt the adrenaline pump throughout my body. It was my first night working as a research associate in the emergency room at UC Davis Medical Center, a level 1 trauma center, which means it provides the highest level of acute care to patients, some of whom have critical injuries. Even with the announcement, I had no idea of what to expect would come through the doors. I was 19 years old, and you were 22- years old when we met. I watched the paramedics roll you down the corridor of the trauma bay. When you arrived in the resuscitation room, all of your clothes were cut open so that every hand in that room could evaluate and stabilize you. You kept asking the room the question none of us could answer: “Am I going to live?” You kept repeating the inevitable fact we all knew: “I got shot, I got shot.” You sustained gang-related gunshot wounds to your right abdomen and right thigh that night. The tattoo across your chest signified the gang you pledged your life to. Even though our encounter was brief, as you were quickly rushed to the operating room, you left a lasting impression on me. The only difference between you and me is that I grew up in a system that protected me. You grew up in a system that neglected you. Even though my neighborhood was just two hours south of yours, in Silicon Valley, it was a safe and nurturing environment. The only guns I ever saw growing up were in movies. And when I heard popping sounds outside my bedroom window, I didn’t have to question if the noise was gunshots or just fireworks. It’s been six years since that night in the ER at UC Davis, I still think about you when I’m reading medical records about children who have also been shot. I hope you know that your story is my guiding light in this difficult work. I am currently receiving my training in epidemiology at the Columbia Mailman School. The word epidemiology holds the public health spirit of what I came here to do. This word comes from the Greek words epi, meaning upon; demos, meaning people; and logos, meaning the study of. In understanding the underlying distribution and determinants of health in specified populations, I can answer my continued curiosity of why our zip codes, not our genetic codes, often determine our mortality. My thesis will be looking at how neighborhood characteristics can predict trauma recidivism when assaulted adolescents return to the ER as victims of homicide. I hope this work will make a lasting impact and that it will illustrate to the American people and policymakers that individuals are not to blame for these ER visits but rather the systems of oppression we’ve built that create a vicious cycle of violence. 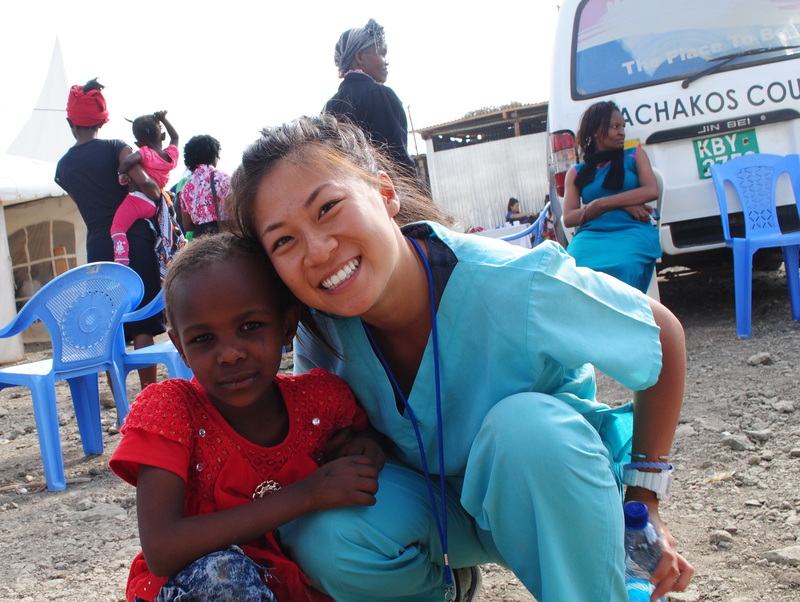 As future public health professionals and providers to many of these communities, our time to be advocates is now. This week is Gun Violence Action Week. To challenge the traditional paradigm surrounding gun violence, I founded the Gun Violence Action Committee at Columbia University with a diverse group of student activists at several schools to bring interprofessional perspectives and cooperative actions to help address the crisis. The Week’s events, which coincide with domestic violence awareness month, feature expert panelists, local and national advocacy organizations, and community artists. Our goal is to empower students with the skill set needed to eliminate gun violence from our communities. Our failure to address the gun violence epidemic is a societal moral failure. Since that night in the ER, the breadth of my knowledge on this topic has grown immensely. I can begin to answer some of my own questions about the widening firearm violence health disparity. If one’s social identity—race, age, gender, etc.—contribute as risk factors to gun violence then we must continue to critically analyze the societal structures that have allowed this tragedy. I plan on continuing to understand the etiology of gender-based violence and demand gun violence to be seen as an epidemic that has disproportionately affected communities of color. Won’t you join me? 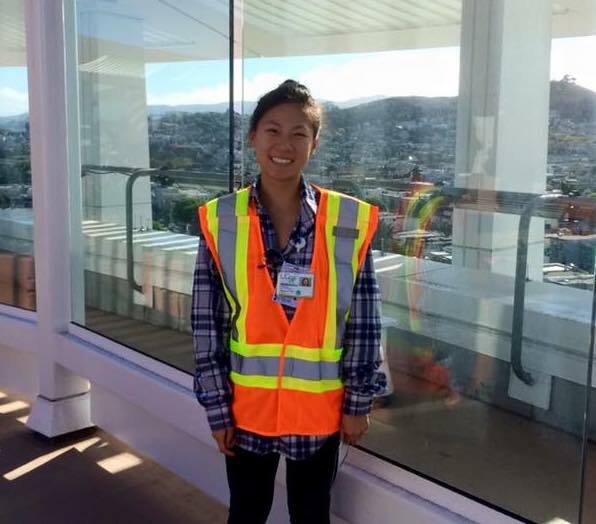 Sun-Ming Jessica Pan is a second year MPH student in the Epidemiology Department at Columbia University's Mailman School of Public Health. She received her BS in Cellular and Molecular Biology from the University of California, Davis. If you would like to contribute to Mailman Student Voices, please send a three to five sentence pitch to mailmancomm@columbia.edu. Do Gun Restrictions Help Reduce Gun Deaths?